Personally, I have settled on the Dark option…. When producing Image sequences or demonstrative video, it’s often necessary to expand the Frame of an image or video to give some room for text or other data. The new Frame Size Filter helps you to achieve this. It can be Found in the Edit Category…. 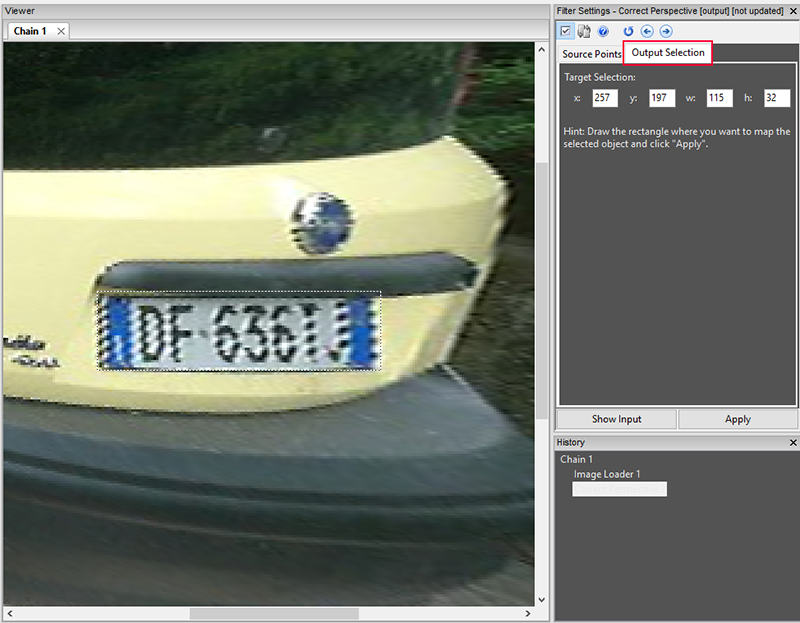 The canvas size, the alignment of the image and then applying a border to the original image. 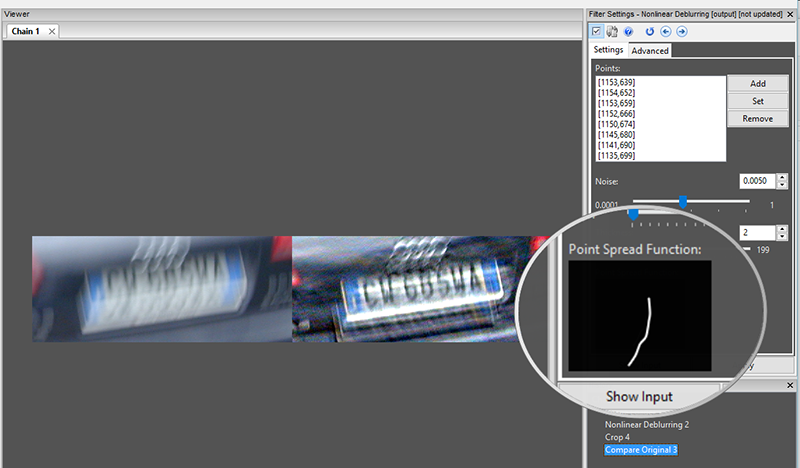 Adding Text or other graphics is now possible without distracting from the original image. Remember, FIVE works just the same whether it’s a single image or a full video. 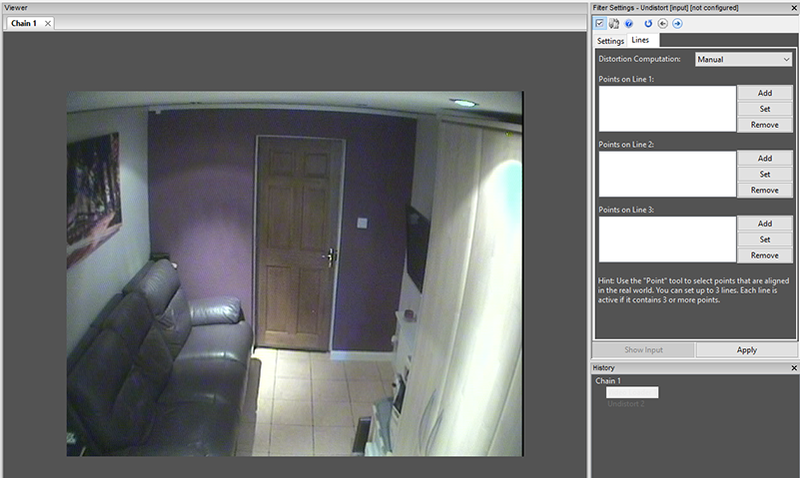 Do you want to increase the canvas of a video to widescreen, without re-sizing the original video? You can now! 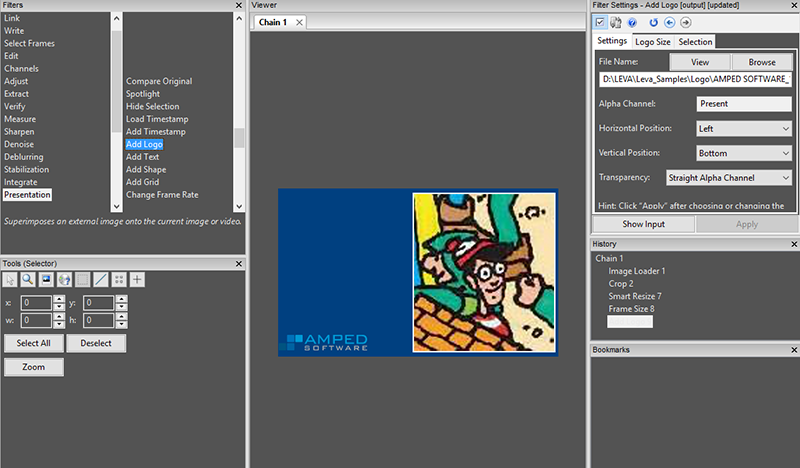 In the example above you can see the Amped Software logo has been applied and, as the graphic has transparency, I have selected this in the Filter settings. You can also re-size the logo directly from within the settings, under the Logo Size tab. There are a number of reasons why adding a grid can assist you in your analysis. 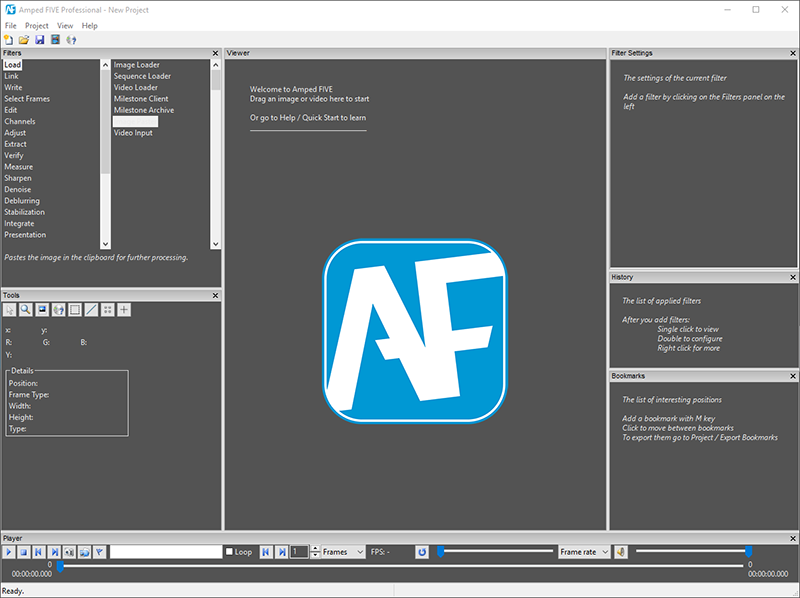 From identifying the Macroblock borders, to having a straight edge guide when using the Undistort filter. 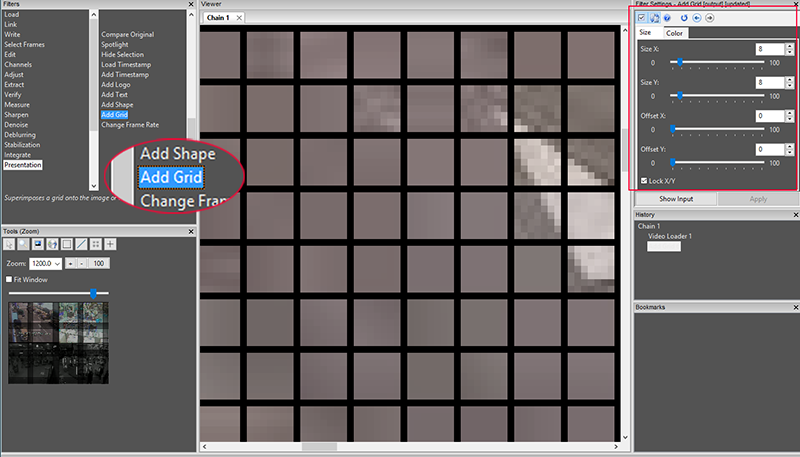 The grid Size, Position and Color are all configurable in the Filter Settings. The Mixer Filter now has a new tab that can display the Similarity Metrics when enabled. It is disabled by default to speed up processing. You can now, not only visualize any differences between two mixed Chains, but also, calculate the mathematical differences. 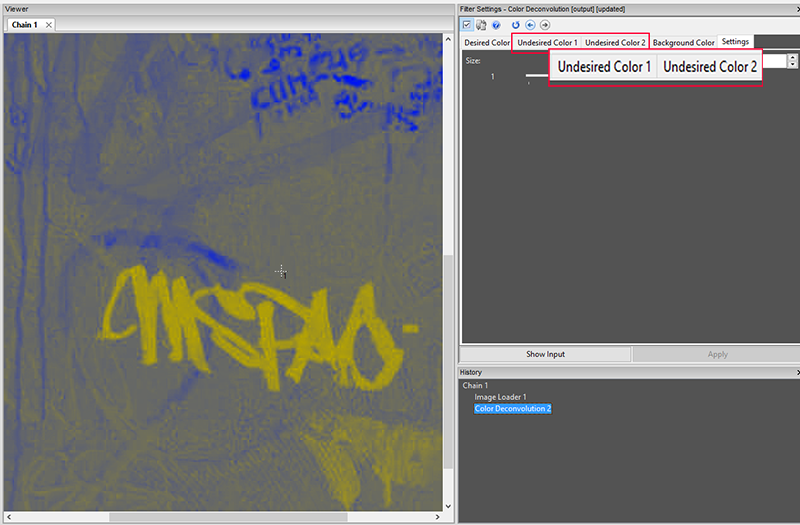 The ability to identify two separate undesired colors really speeds up the process of color removal in an image. After the colors have been removed, using a couple of other filters can really bring out the data required. 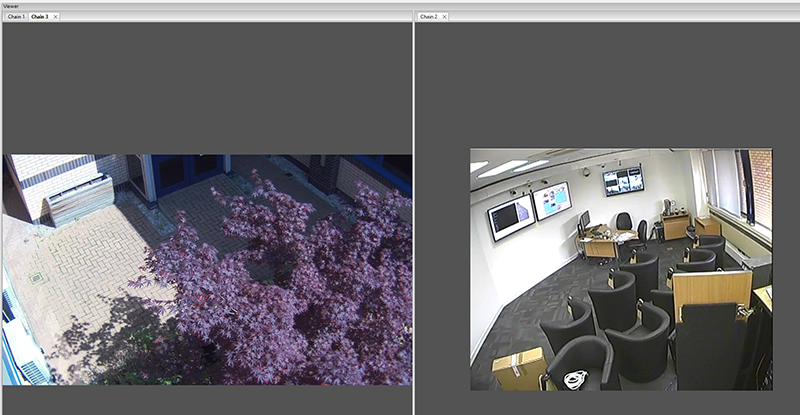 Interlacing, and the various challenges it brings into the digital world, does seem to cause confusion. Explaining this to someone with no knowledge, perhaps a jury, can now be assisted by using a CRT Simulation mode under the Interpolation options. So, instead of applying no interpolation, and reducing the height by half, or interpolating each line to keep the original size – CRT Simulation simply adds in black lines where the next field will be. Here we have a video with some lense distortion. You can see the curvature along the top and sides. 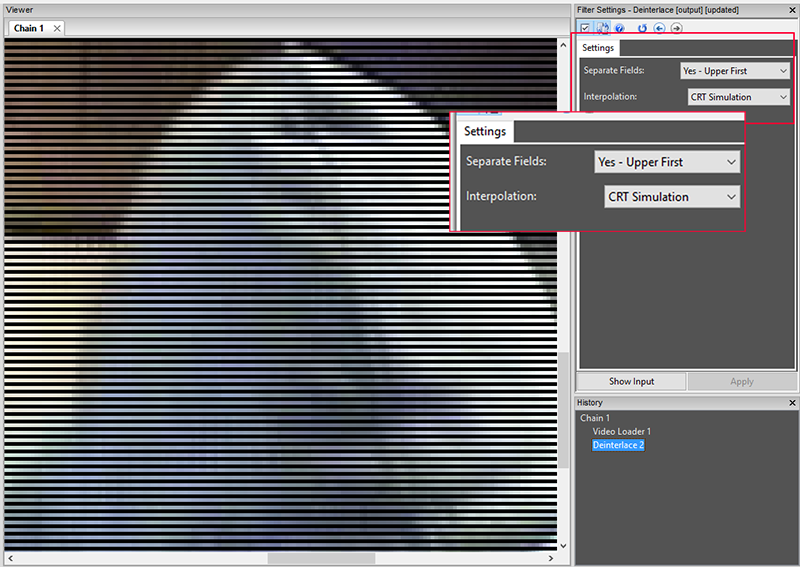 Both Undistort and Correct Fisheye filters now have new tabs called Lines. 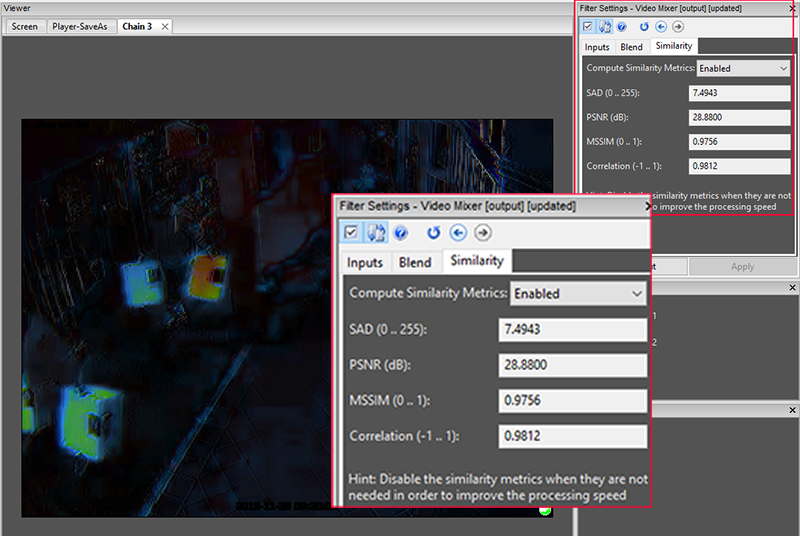 Visualizing the Point Spread Function of a blur has been added to all the deblur filters. 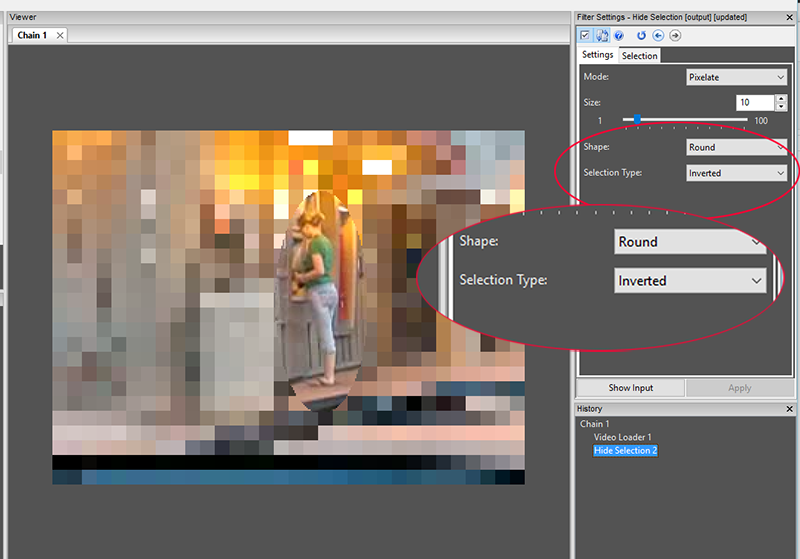 Being able to see the blur pattern, as you are selecting the path in the image is a great help. As an added extra in the Deblurring category, Edge Tapering is now included in the boundary conditions of Turbulence Deblurring. Please note also, the algorithm has changed a bit to better reflect the actual physics of the motion of light through the air. For this reason, older projects using this filter can give different results. Yes, it’s been one of the most popular feature requests, and it’s now available. You can now invert a selection and rather than hide or highlight inside – you can invert and apply the filter to the outside. Correcting the Perspective of an object can be a very powerful filter but during training, I always find that it’s something that people take a little time getting used to. As a result the interface has been enhanced to separate the two stages, and these are now under the tabs ‘Source Points’ and ‘Output Selection’. 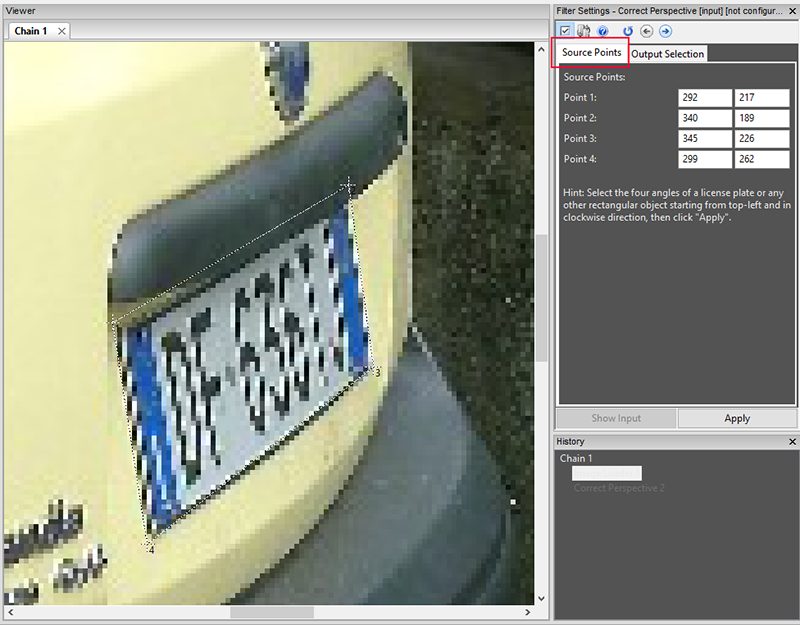 After selecting the source points I can then chose Output Selection to identify where I wish to map my points to. 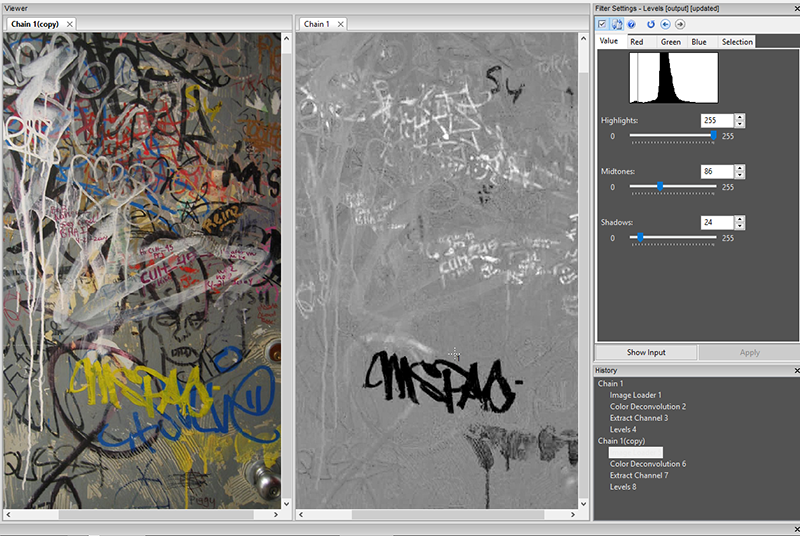 A quick one – Grey-scale images are now supported. When using multiple Viewing Windows, the control of each window was managed by the cursor location. As a result, this could cause a few issues when applying filters to different chains. In the Image below, I have two versions of one video open in the left window and another video open in the right window. These now only activate when selected. 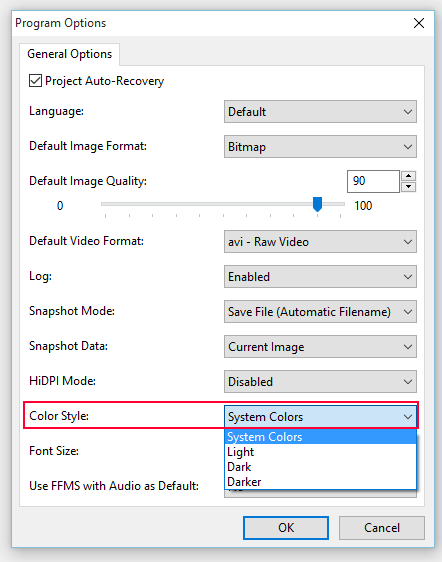 This improvement makes working on multiple images or videos at the same time much more easier. 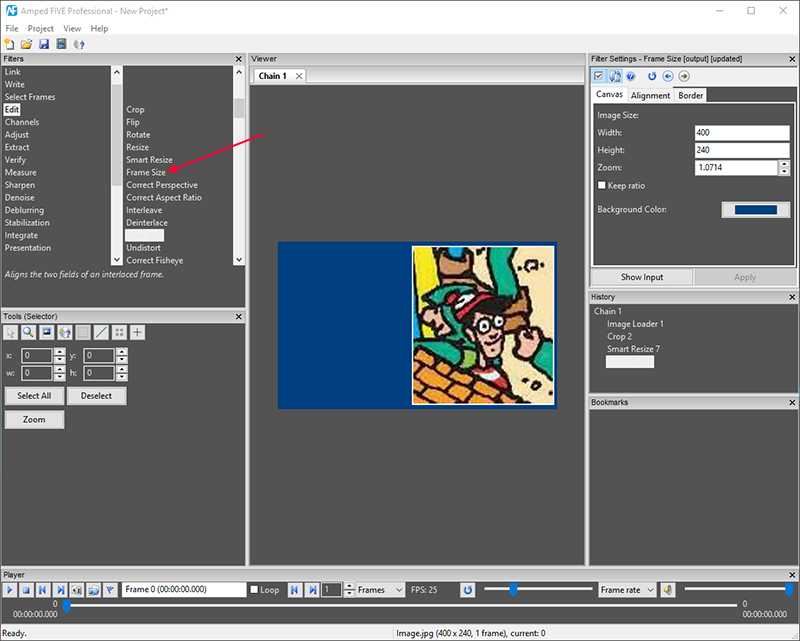 … and if you have forgotten how to have multiple windows – have two or more chains open, and then click & drag one of them to the edge of the viewer. You will see that edge go light blue. Then release your mouse. 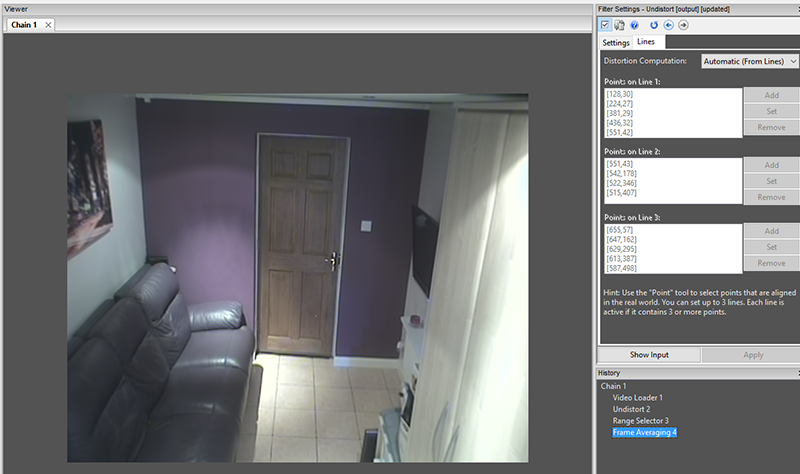 An interesting bug was identified with Quicktime when the .mov container had been used with some proprietary surveillance video. It caused an incorrect frame rate and frame count. Fixed! Phew! ….. As you can see, we don’t stand still at Amped! The majority of these updates come from feedback by you, the user… and we have lots more to add!